The Connecticut trucking industry is voicing its support for the US-Mexico-Canada (USMCA) trade agreement and is urging Congress to approve the pact. “Ensuring that the US is able to continue to conduct trade with our neighbors is highly important to our industry,” said Motor Transport Association of Connecticut (MTAC) President Joe Sculley. 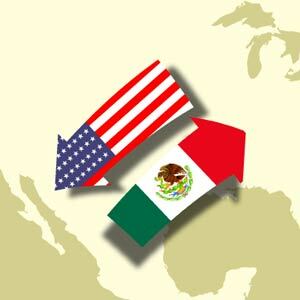 “The USMCA has already been agreed to by the leaders of the US, Mexico, and Canada, and accordingly, Congress should approve this deal,” Sculley said. A just-released Business Roundtable Report states that more than 430,000 Connecticut jobs are supported by international trade, which include our North American neighbors. Additionally, the most recent data from the office of the U.S. Trade Representative shows that Connecticut exported $2.9 billion worth of goods to Canada and Mexico in just one year. Sculley highlighted the critical role of trucking in making these exports happen. “Just as the large majority of freight in our state is moved by truck, that is also the case with moving freight across the borders to trade with our neighbors,” he said. The trucking industry currently moves 82% of the freight that crosses the Mexican border and 68% that crosses the US-Canadian border. “Congress needs to support trucking industry jobs by approving USMCA,” Sculley concluded.